Host John Diliberto, a writer for Billboard, Pulse and other magazines, Echoes brings together a wide array of styles, from acoustic to electronic, jazz to space music, the avant-garde to rock. Echoes is a sound that is cross-cultural and trans-millennial, merging cultures and forms, technology and tradition, the ancient past and the possible future. In addition to the many recordings heard on Echoes, we also produce interview features with popular modern music figures such as Brian Eno, Peter Gabriel, Kate Bush and Enya, as well as less well-known known composers such as Dead Can Dance, Steve Roach, and The Orb. 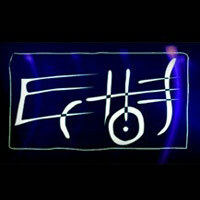 Echoes also produces Living Room Concerts, live performances recorded in musician’s homes or studios and broadcast on Echoes. Concerts thus far have included Mark Isham, Steve Roach, Patrick O’Hearn, Ottmar Liebert, Michael Brook, Robert Fripp, Nightnoise, R. Carlos Nakai, Ancient Future, Sheila Chandra, Adrian Legg, Michael Hedges and many more.